Percussive strings and maracas, dynamic vocal expression, and full-throttle pace earned the joropo of the Orinoco plains of Colombia and Venezuela its place among the most exciting regional musics of Latin America. 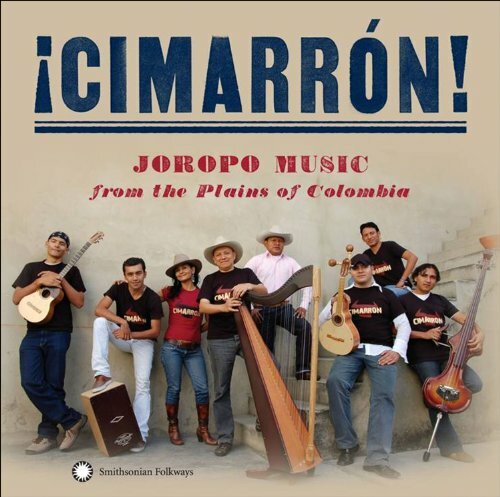 On this, its second Smithsonian Folkways album, the internationally acclaimed Colombian ensemble Cimarrón distills this excitement into a tightly arranged, even more explosive rendition of their tropical tradition. Through their powerful, moody, and unbridled sound, they live up to the meaning of their name Cimarrón "wild bull." Comes with a 20+page booklet. If you have any questions about this product by Smithsonian Folkways, contact us by completing and submitting the form below. If you are looking for a specif part number, please include it with your message.